There are a lot of changes for the 2016 model year for Toyota. Avalon, Camry, Corolla and Land Cruiser all get refreshed. Prius is all new. Entune App Suite is now standard, allowing you to use your smartphone apps through the vehicle's dashboard. Siri Eye's Free is also standard. New grille, lights and bumpers. Engine, suspension, etc. unchanged. Trims changed to XLE, XLE Plus, XLE Premium, Touring and Limited. Touring gets new LED headlights. The Avalon Limited optional Total Safety Sense Package now includes Lane Departure Warning. Still includes collision warning with pre-collision braking, pre-crash front tensioning seatbelts and dynamic radar cruise control. 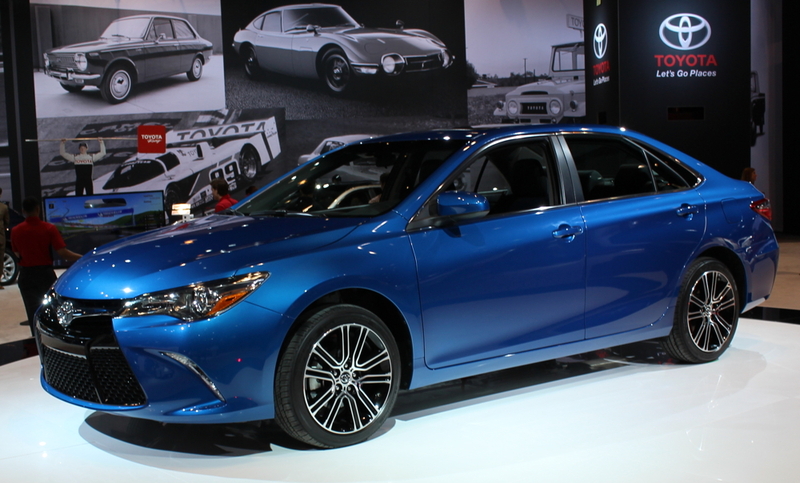 The 2016 Camry adds a Special Edition trim meant to amp up its SE model with more standard features and pizazz. 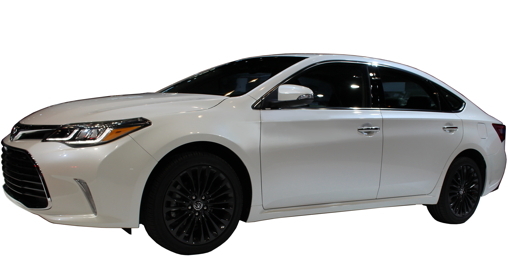 The Special Edition takes a Camry SE and adds exclusive 18-inch gloss black wheels, power moonroof, smoked taillights, Smart Key (unlocks doors and trunk starts without touching the key), Qi wireless device charging and unique trim. It offers this exclusive "Blue Streak" paint. Corolla will also add a Special Edition with sport styling, disc rear brakes, exclusive 17-inch gloss black alloy wheels, and Smart Key. It will be available in three colors, one exclusive to the Special Edition: Absolutely Red (we think it might be a shade of red). It will be limited to about 8000 units. Towing package is now standard on V6. 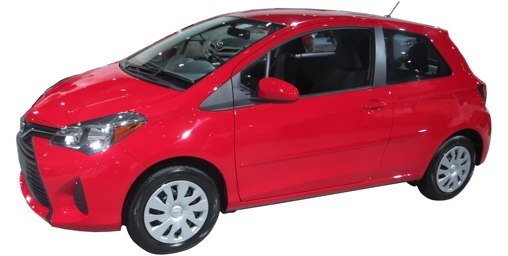 Platinum models include rain sensing front wipers. 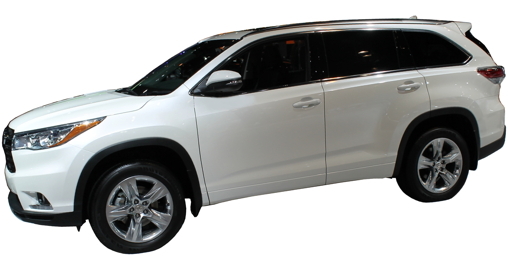 The iconic luxury Toyota Sport Utility is updated mechanically and in appearance for 2016. The entire front end—hood, front fenders, bumper, grille and new LED headlights—are all new. Mechanically an eight-speed automatic replaces the six-speed to improve acceleration; fuel mileage remains 13 city/18 highway. It is still connected to a 381 horsepower 5.7 DOHC V8. Off-road prowess improves with a 9.1 inch ground clearance (up from 8.9) and better angles of approach and departure. New safety technologies added include: pedestrian detection for the Frontal Collision Mitigation system to automatically slam on the brakes to help prevent collisions; Lane Departure Alert; automatic high beams; Blind Spot Monitor; and Rear Cross Traffic Alert. 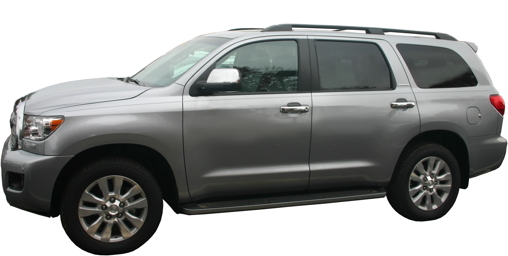 All of these are standard, as is everything on the Land Cruiser—the only options are interior and exterior color and dealer-added accessories. 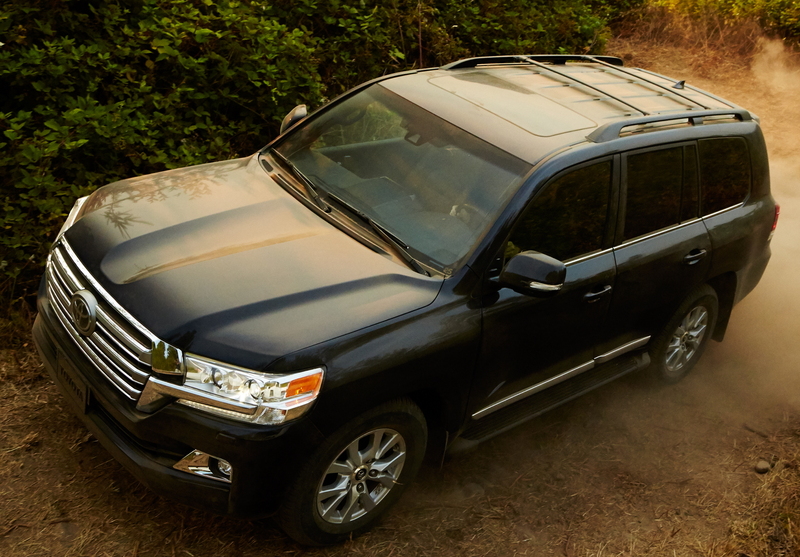 The Land Cruiser's radio adds a nine-inch touch screen and Siri Eyes Free control for Apple products. Qi wireless charging will charge compatible devices without plugging them into anything. This is the production version of the Toyota FCV Concept, a hydrogen fuel cell vehicle meant for limited production. With a 312 EPA listed range, the Mirai can outdistance any electric car, including the Teslas. Elan Musk claims that fuel cell cars are "extremely silly." He has a point about taking energy and converting it to hydrogen, then compressing it to 10,000 PSI. But he also has an axe to grind considering his company, Tesla, is the Mirai's primary competitor. Burning coal, oil or natural gas and turning it into electricity then pumping it into chemical batteries has a certain parallel silliness. Both types of powertrain are subjects of immense government subsidies, directly and indirectly. The Mirai takes in pressurized hydrogen from specialized hydrogen fueling stations and puts out only water (and 151 horsepower and 247 pound-feet of torque). No carbon dioxide, carbon monoxide, NOx, or unburned hydrocarbons. Deliveries to customers began in California this October and will start in Northeastern states that share California's emissions laws in 2016. 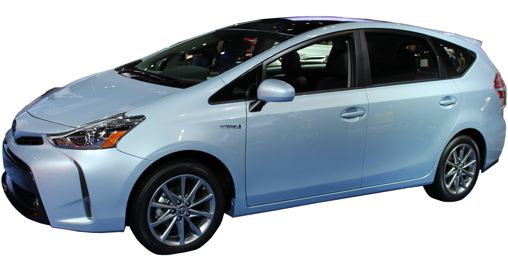 All-new for 2016, the Prius is now in its fourth generation. Toyota promises 10% greater fuel efficiency, and even more from a future "Eco" model (what's the opposite of an oxymoron?). They also promise greater driving fun (now a regular oxymoron? ), and the double-wishbone fully independent rear suspension that will replace the old torsion bar (tech from 1980's Chrysler K-cars) is a good downpayment. 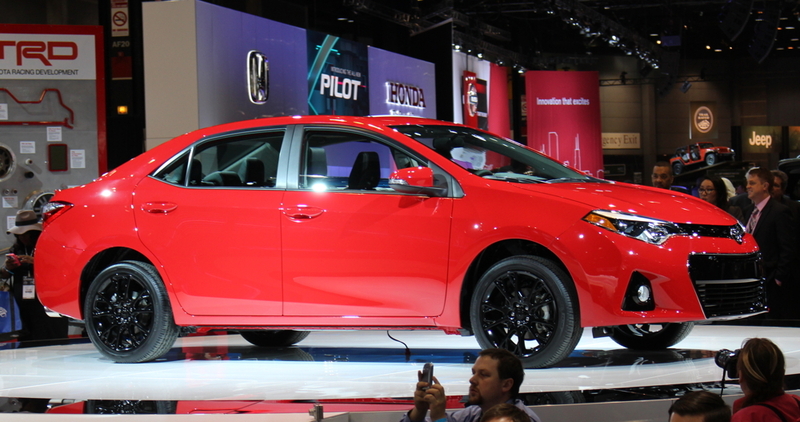 The car has been completely redesigned on the outside: longer, lower, wider (is this a recycled Pontiac commercial?). 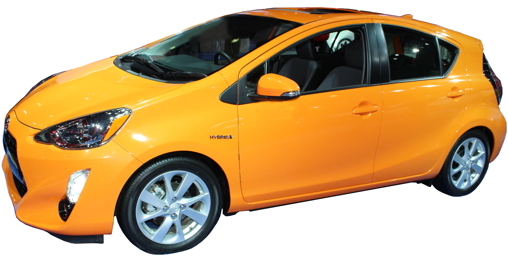 Prius c goes high-tech, adding the option of Toyota Safety Sense, a package that includes a collision warning system, automatic braking, Lane Departure Alert and Automatic High Beam headlights. 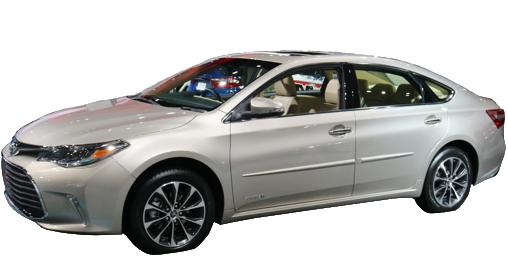 A new Hybrid model comes only in All-Wheel-Drive and is rated at 34 city/31 highway by the EPA. In standard gasoline models a new SE trim is available. 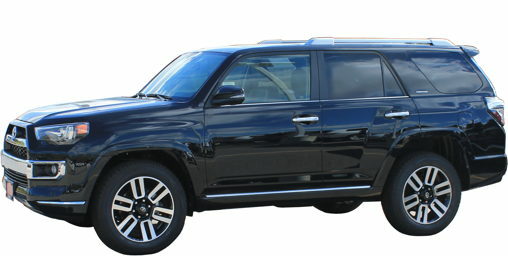 Bracketed between the XLE and Limited trims, it features 18-inch wheels, new LED headlights and a mesh honeycomb grille. Stiffer shock-absorbers are painted blue. 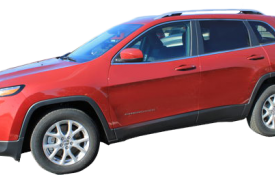 The SE also includes blind spot warning, Smart Key System, power driver's seat with memory, heated front seats, paddle shifters to manually row the automatic transmission's gears and a power liftgate. 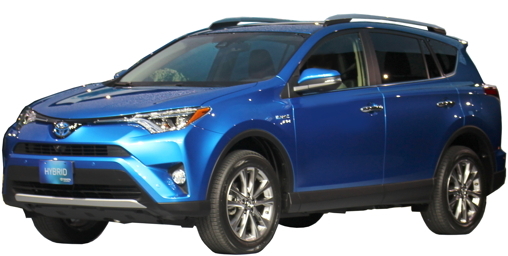 Along with the other changes, the Rav4 gets a refreshed look, with new bumpers, grille and fascia. New cupholders will hold tall mugs with handles. A blind spot mirror is now standard to help reveal vehicles in the Rav4's blind spots. Power liftgate is now standard on XLE. A new frameless auto dimming mirror, now with Homelink remote controls is standard on Limited. Automatic high beams, blind spot warning and Lane Departure Warning are now standard on Limited, as is a new Pre-Collision System with collision warning, automatic braking and Dynamic Cruise Control. 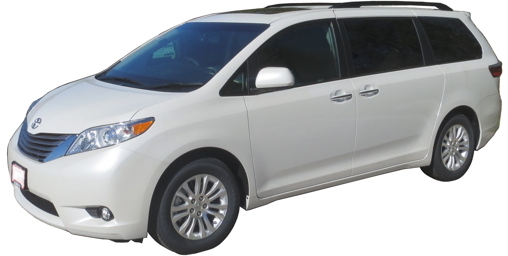 This package, called Toyota Safety Sense, is optional on XLE and SE. A camera system that shows the entire perimeter of the Rav4 is optional on SE and Limited. Called, Bird's Eye View Camera with Perimeter Scan it shows a rotating view of the sides. Blind Spot Monitor and memory seats are now offered as options on Limited; still standard on Platinum. Front and rear parking sonar standard on Limited and Platinum now optional on SR5. Improved multimedia includes the ability to use smartphone navigation programs through the vehicle sound system in some models. Siri Eyes Free standard on all models. 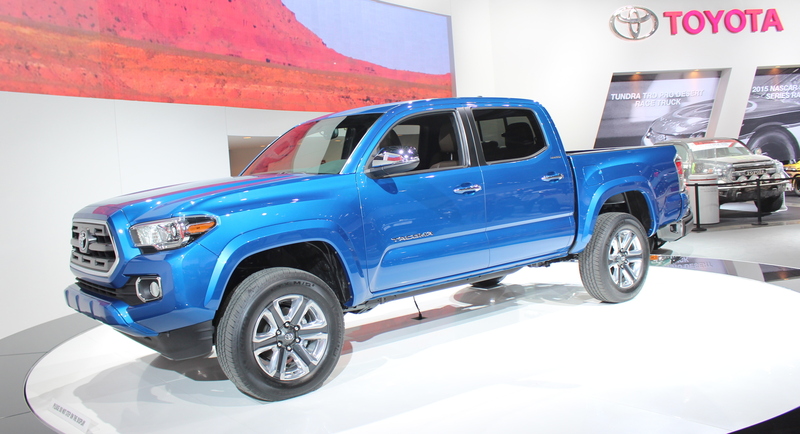 All-new, the 2016 Tacoma offers an Access Cab (Extended Cab) and a Double Cab (Crew Cab) in short and long wheelbase. The wheelbase stays the same on all models, but overall length increases by over four inches. The track width is up by two inches, which will provide better handling and stability. Overall width is up by two inches. The chassis has been redesigned with more high-strength steel. The old base 2.7 4-cylinder carries over, but a new 3.5 V6 comes with more horsepower and better fuel mileage. With direct fuel injection (injected into the combustion chamber) and an Atkinson combustion cycle (the intake valves stay open making the compression stroke shorter than the power stroke) the new engine gets at least 2 MPG better fuel mileage city and highway than the old 4.0 V6 and makes 42 more horsepower (278). The 4-speed automatic paired to the 4-cylinder and the 5-speed automatic paired with the V6 in the old Tacoma are both replaced with a 6-speed automatic. 5 and 6-speed manuals are still paired with the 4 and V6, respectively. Driver and front passenger knee airbags have been added as standard. A blind spot warning system and rear cross-path warning are newly optional on TRD and standard on Limited. Rear parking sonar is optional on SR5, TRD and standard on Limited. Rear backup camera and power mirrors are now standard on all models. Projector headlights, too. Standard 16-inch wheels replace 15-inch. Qi wireless charging is standard in TRD Sport, TRD Off-Road and Limited models. Smart Key with Pushbutton Star is standard on TRD and Limited models with automatic transmission. 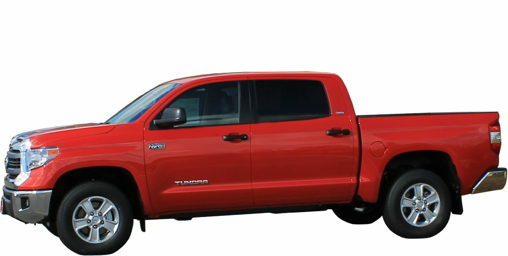 TRD models offer optional dual zone automatic climate control; it is standard on Limited. A new 38-gallon fuel tank is standard on Limited, Platinum, 1994 Edition and TRD Pro; its optional on the SR5 with the 5.7 V8. Blind Spot Monitor with Rear Cross-Traffic Alert is now standard on Platinum and 1794 Edition; now optional on SR5. Still optional on Limited. No changes. Information on the U.S. EPA website indicate a possible future 6-speed manual and automatic to replace the current 5 and 4-speed units now in use.